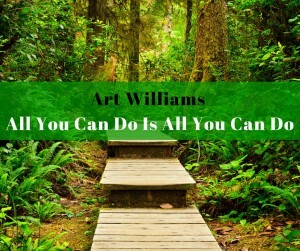 One of the best books I’ve ever read was written by Art Williams and titled All You Can Do Is All You Can Do, but All You Can Do Is Enough! I remember the first time I met Art Williams I was amazed at how down to earth and real he was. He really understood the average person and what it took to take someone from ordinary to extraordinary. One of the best lessons that I learned from him was his famous saying, “All You Can Do Is All You Can Do….” Click To Tweet. I read his book again this weekend and wanted to share the highlights with you. He starts the book out with reminding us of our dreams and our ability to dream when we were in school as children. 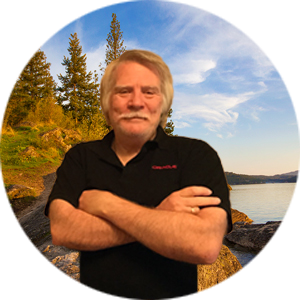 The sky was the limit and we hadn’t developed those limiting beliefs yet. The book is an easy read but so very powerful. Every one of these chapters is filled with a ton of nuggets that makes this book one you should over and over again. This is one of those books that I always recommend to my new teammates. I guess one of my favorite chapters is chapter 11 The “DO IT” Principle. If you haven’t read this book you NEED to put this on your list right NOW and take the time to read, digest it and then regurgitate to your team and those you are training. 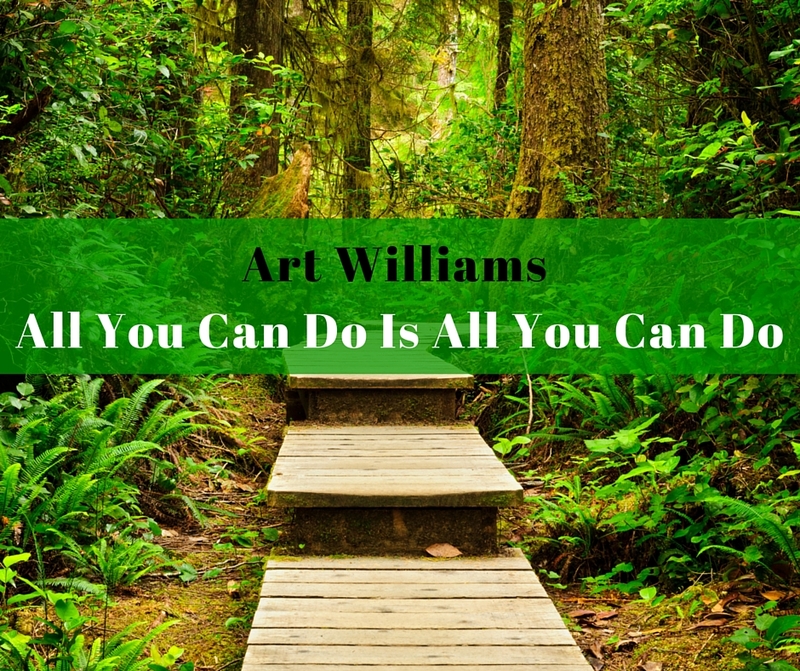 Art Williams is one of the Patriarchs in our profession and has so much to give and teach. He’s pretty amazing… he was one of my first Mentors…. This sounds a really good book Ron and one I haven’t come across. Thanks for sharing your review. I may just have to get this one. Love Art Williams’ speech!! Haven’t heard of that book before, adding it to my list! Thanks so much for sharing it Ron! It’s a great book Jelena…. Thanks for sharing Ron! This is going on my book list for next read. Sounds like it’s a great one to have in my library!